In the wake of a disastrous military experience, Dr. Riam Mather is reassigned to an unexpected mission. Disguised as an interstellar trader, he must forge an alliance with the Ionasae, the proudest clan of the tsarsae species. His partner in this mission will be Anusae, granddaughter of an Ionasae leader. Though there’s no love lost between humans and the highly advanced tsarsaes, Riam is willing to work side-by-side with Anusae. If they succeed in securing the alliance, they’ll avert a war between the Ionasae and Sugunae, a rival tsarsae clan striving for dominance—but more importantly to Riam, this mission will locate Earth, the lost home of humanity. Their journey through disputed territories and treacherous systems is perilous. Riam and Anusae must put aside their differences and find common ground between humans and tsarsaes if they’re to survive the mission. As they approach their goal—and Earth seems within their reach—they discover a shocking truth about humanity. The last hope for the survival of Riam’s species may lie with the tsarsaes. 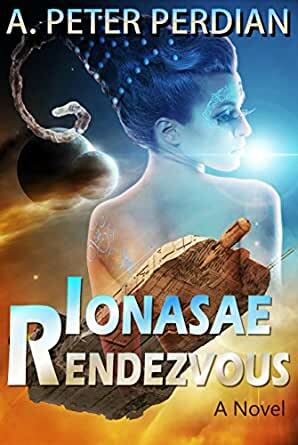 Will the bond of friendship between Riam and Anusae be enough to save humankind from destruction? This book is a one hundred seven thousand word novel, a gripping science fiction adventure.